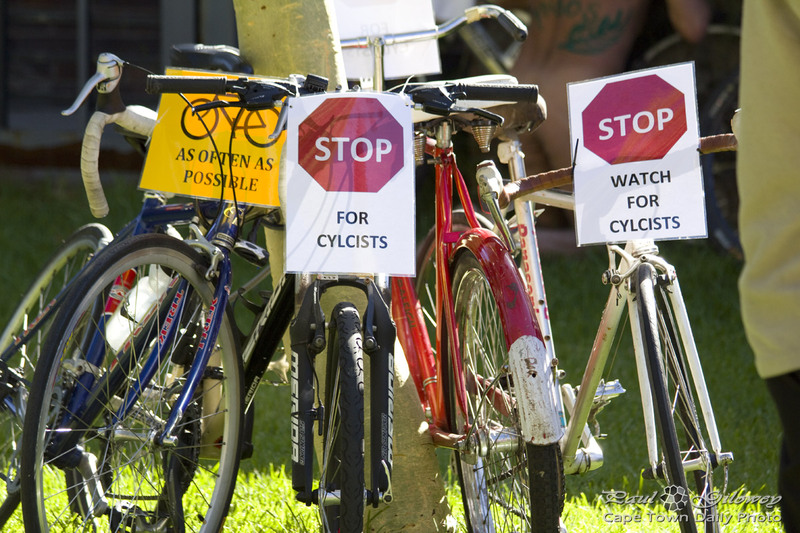 These signs were actually used, in a bike ride, in a public space. It was amusing - especially since I don't think any of the marshals even realised the typo. :) But, let's not be too mean - they were riding for a good cause. Posted in General and tagged bike, cyclist on Sunday, 10 March, 2013 by Paul. I took this photos earlier in the year and never got around to posting it, so do excuse me for posting a photo taken so terribly long ago (just before the Argus Cycle Tour, in fact)! I saw the cyclist approaching, and tried to quickly take the shot before he obscured my view. I at first thought "Darn, I wasn't quick enough. ", but on reviewing the photo later I discovered that I really liked the fact that I caught him cycling into the frame. It's funny how sometimes things that you expect would ruin something actually make them better. 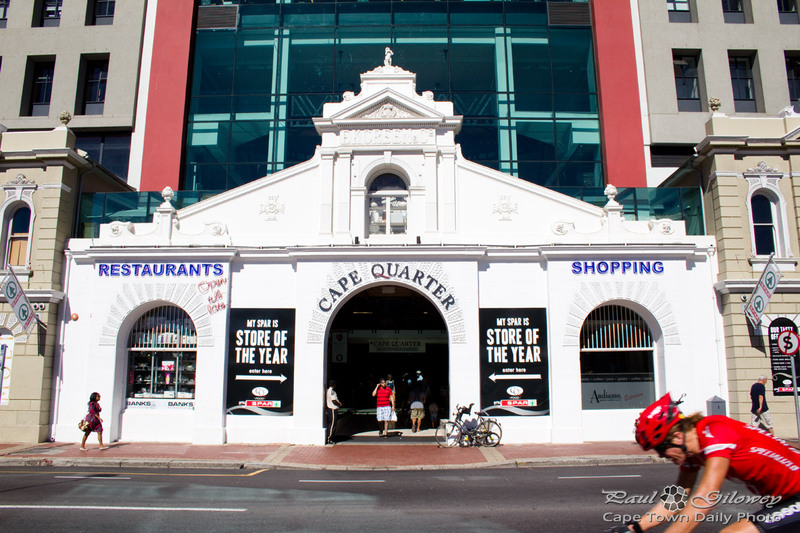 Posted in General and tagged buildings, cape quarter, cyclist on Tuesday, 22 May, 2012 by Paul.